I learned that “do not touch” is not a phrase my mum understands too well on this trip. 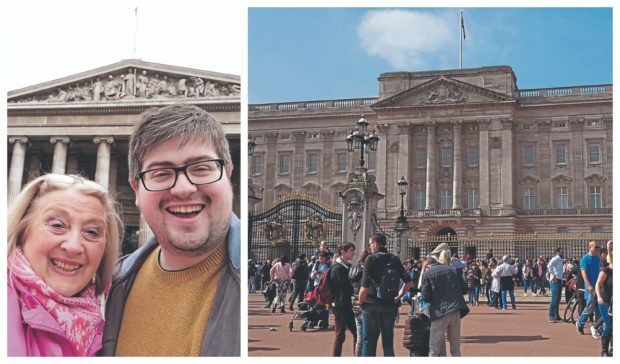 I took her to London. I’ve been a few times before but this was a first in many a year for my mum. 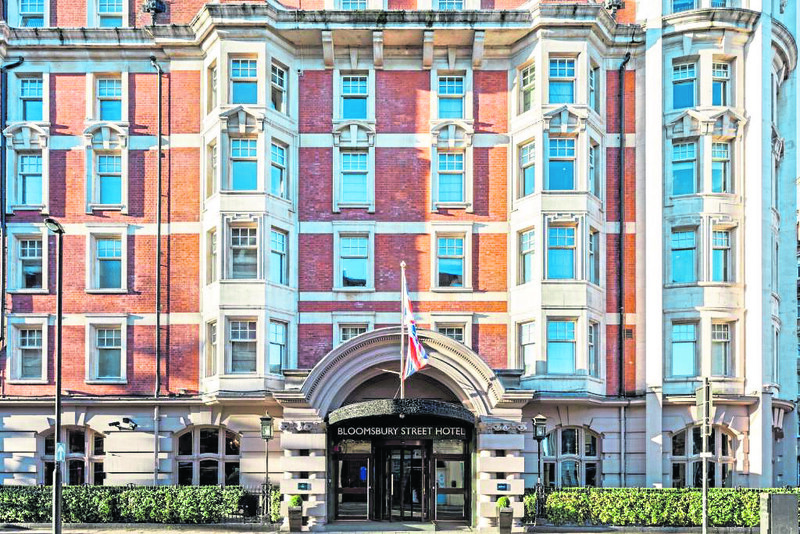 Staying at the beautiful Radisson Blu Edwardian Hotel on Bloomsbury Street, we were slap-bang in the city centre – a great location for shops and your typical tourist destinations such as Hyde Park, Buckingham Palace and Big Ben. However, on this trip I wanted to explore something a little different. Four floors up into the city skyline, the room peaked over the nearby rooftops; a fantastic view. However, the best thing was the mouthwatering chocolate strawberries waiting on our arrival. After scanning my holiday brochures like an enthusiastic tourist I spied something quite strange – a Cartoon Museum. Just around the corner from the hotel, we were there in a jiffy. I was greeted by an archway of cartoon colour, from comic book classics to political satire. On the left stood a tall but very thin British soldier, wearing a dashing red coat with a cavalry-looking hat. He held a globe sliced in two clutching tight the British Isles. Facing his lower abdomen was a much smaller soldier dressed in the same attire. This gentleman had a much bigger hat with a prominent feather sticking out from the top. In his hands were the remains of a united Europe – obviously taking a dig at the Brexit ordeal and the relationship Britain now has with its European neighbours. Drawings upon drawings, every wall was covered with a splash of colour. I quickly stumbled upon a familiar face from my younger years – Dennis the Menace. 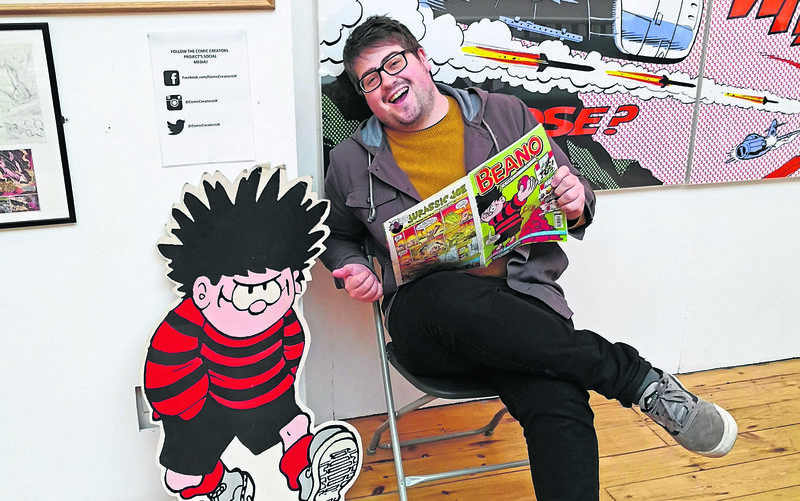 I snapped up a copy of the Beano while I sat reading all about my favourite character. A quick five-minute walk from the Radisson Blu was the British Museum. We walked past the stone pillars and into its atrium. Two million years of history all under one roof, this was like nothing I’d ever seen before. We started in Britain between 800BC and AD43. Turning into the gallery my mum stumbled upon a huge cutting stone: “Oh look, at that,” she said in amazement as she prodded her hands across the boulder. Clearly she did not see the large three-worded sign that said DO NOT TOUCH. Just typical, I had to tell her off, and this was not going to be the only time this happened on this trip. One of the leading attractions in the museum is the Rosetta Stone, a feature of the great temples and tombs of ancient Egypt. Black taxis, red buses and tubes of the underground, London is known for its transport. 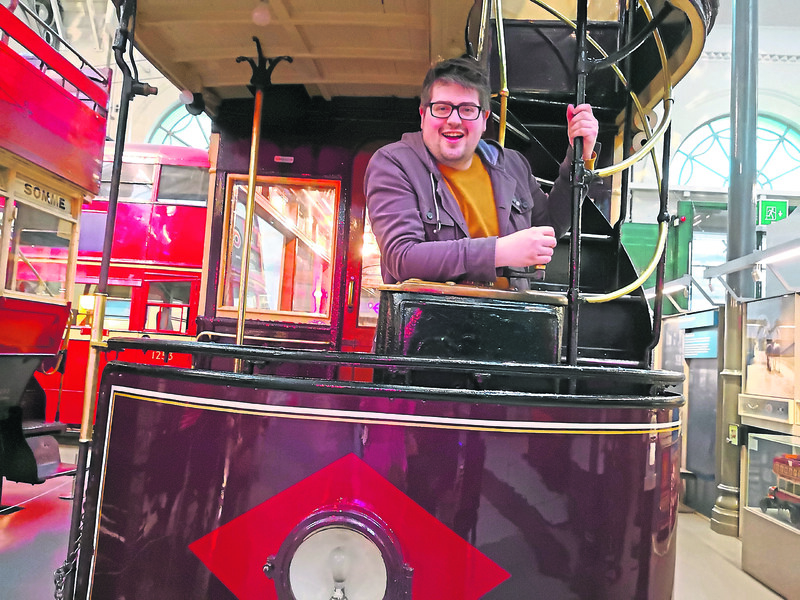 Wanting to know more, my mum and I headed off to the London Transport Museum and wow, what a cracking time we had. It’s a museum not just for children, take my word for it. We had a blast. I’d recommend about an hour and a half, maybe even more, to fully appreciate this time capsule of transport. It was fun to jump on and off old tram cars and new city buses. However, the most exciting part was to drive the London Underground. Yes, I drove the London Underground train; well, not a real one, but a simulation. Spending hours and hours in museums is hungry work, so we headed back to the hotel for some well-deserved food at Steak and Lobster. I could almost taste the embers from the grill as a giant strip of meat was planted before my eyes. Soft texture and lightly crisp, the medium-cooked sirloin was mouthwatering. Joined with a mountain of chips, salad and covered in peppercorn sauce, this was a meal to remember. 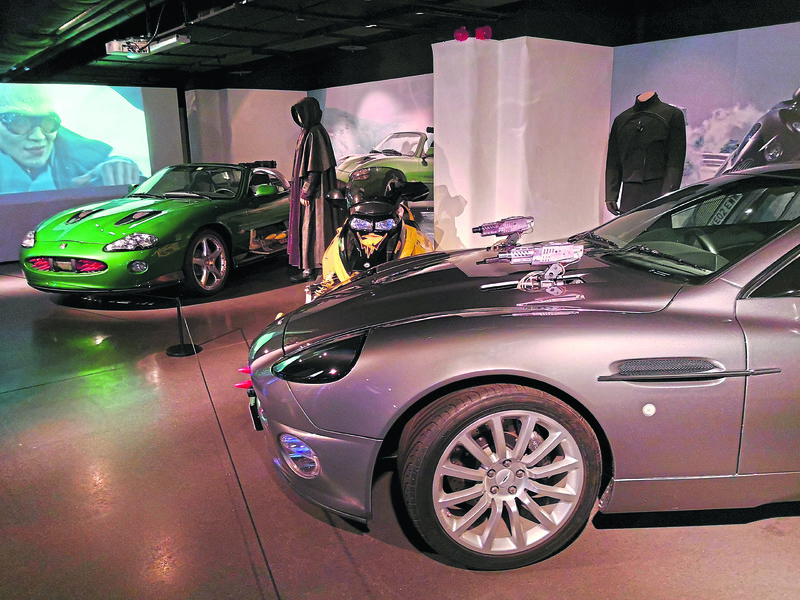 The following morning, I stumbled on the British Film Museum – an entire gallery dedicated to Britain’s favourite double-o agent, James Bond. I was shaken by the amount of automobiles in the gallery and stirred by the movie props on display. Aston Martin V12 Vanquish, Rolls-Royce Silver Cloud II, even the Q Boat was there. Observing the bullet holes of a yellow Citroen 2CV from the 1981 film For Your Eyes Only, I heard “madam, please don’t touch,” – yes that’s right. I turn around and there is my mum prodding and poking about the cars. I knew at this point it was best to leave. It was time for my mum to fly home. I left her at Liverpool Street and in a classic movie moment waved her goodbye as the train pulled out of the station. I then went on a hunt for London’s best ice cream and I think I found it. Gelatorino, just round the corner from Covent Gardens – this place was amazing. With the last bite of the cone it was sadly time to go. What a couple of days it had been. The sun shone and not a cloud in sight to dampen our adventure. The city offers so much choice and it does not take long to soak up the atmosphere. I can only recommend taking time to discover this wonderful place – and for goodness sake, when it says “Do Not Touch”, don’t touch it.